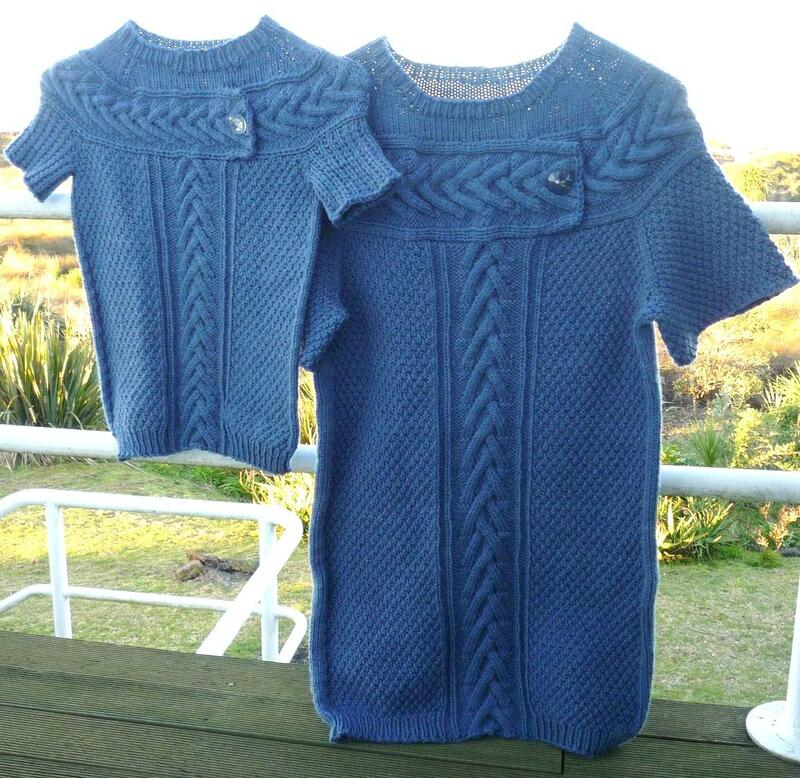 Last year sometime my daughter in law asked if I could make matching jumpers for her and her now 4 year old daughter. Of course I could, it just takes time, a lot of it. 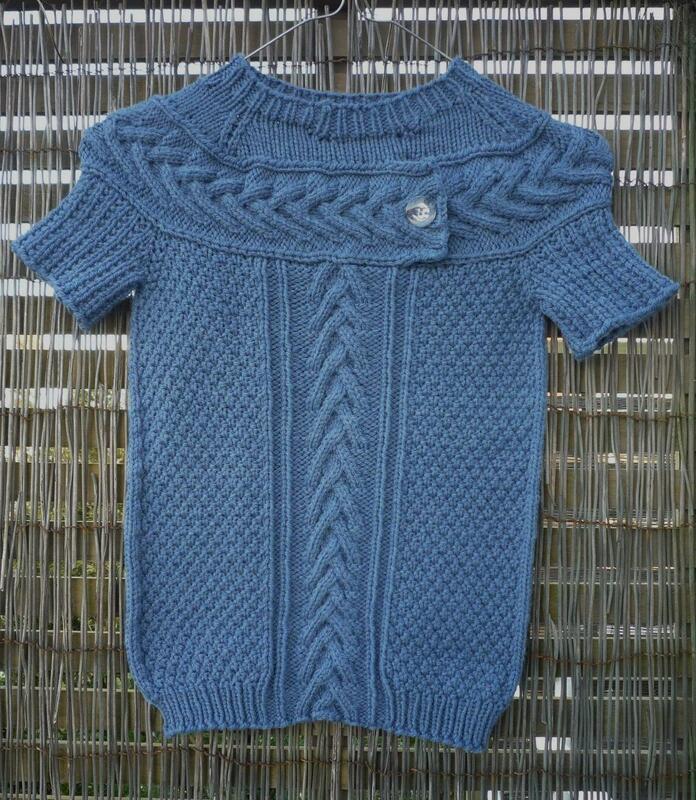 This pattern, Little Miss Myra's Sweater designed by Laura Simonson of Knot Enuf Knitting, seemed like a good bet but it only comes in children sizes up to 10 years. I figured D I L would be about a size 12 and both girls are very long! With this pattern you start with the cable band around the shoulders, then work up and then down and lastly work the sleeves. First thing I realised was that the cable would be small on an adult so sat with pen and paper and quickly worked out a bigger, but matching, cable. 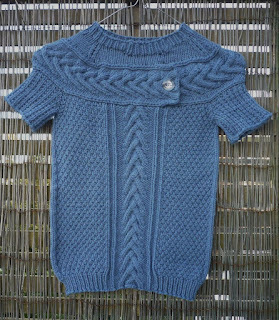 Then I'd knit some on the small garment, then switch to the bigger to do the same. I did take the cable to the bottom of the garment including it in the rib band. Then, of course, buttons became a problem as the nearest habby shop is an hours drive away. A quick fossic in Granny's button box found some old glass buttons. Then the jumpers were in the post, too late for winter I thought, but goodness have we had some cold days lately. Absolutely stunning, what a nice MIL you are!